Localized adiposity is one of the most common issues treated by aesthetic medicine and cosmetic surgery. 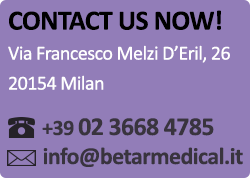 In order to face to this problem, at Betar Medical we first carry out a nutritional evaluation of our patients, because therapies and surgeries are not possible without a healthy lifestyle. Localized fat issues can be treated effectively especially on patients with a healthy weight who are affected by persistent fat deposits that cannot be removed by changing their diet habits. Depending on the treated area, the amount of fat and and each patient’s expectations, our experts will opt for one or a combination of multiple techniques.